Sarah Ball is a British writer with three novels published by Piatkus Books: Nine Months (2002), Marry Me (2003) and Written in the Stars (2004), all recently reissued by Little, Brown’s new sub-imprint Piatkus Entice. She’s also had several short stories published including a contribution to the charity anthology Party Animal, a collection of stories from writers such as Marian Keyes and Maeve Binchy. Sarah’s novels have been published in Serbia (Laguna), Russia (Amphora), Portugal (Livros Do Brasil), Norway (N W Damm & Son) and Czech Republic (BB Art). Sarah lives in Cambridge with her husband and two children. She has been a vegetarian chef, trained a guide dog and home-educated her youngest child for a year. She’s studying part-time for a degree in English Literature and runs a thriving craft business from home. 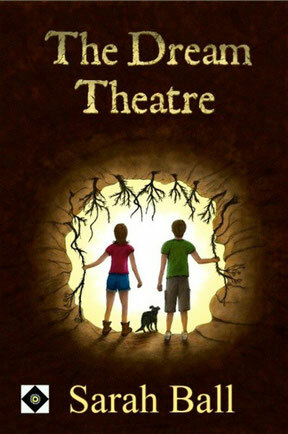 The Dream Theatre is her first children’s novel. You can find Sarah on Twitter @sarahballwriter or visit her website: www.sarahball.co.uk.